Only a few days back, Lenovo owned Motorola launched the G7 series in Brazil and Mexico. At the launch event there, Motorola unveiled four phones – the Moto G7, the Moto G7 Power, Moto G7 Play and Moto G7 Plus. Given the popularity of the Moto G series in India, there is a solid chance that Motorola might debut all of these phones in India at a later stage. However, there is one device in this line-up which is sure to touch the Indian shores, and that is the Moto G7 Power. In our previous update, we had informed that the Moto G7 Power is only days away from its launch in India and it seems that the phone has already started arriving on the Indian mobile retail shelves. According to the latest tweet by the Mumbai based retail shop, Mahesh Telecom, the Moto G7 Power has started shipping to Indian stores. The retail store tweeted a picture of the Moto G7 Power in the box which confirms the claims. The retailer also tweeted the price of the phone informing that Motorola has set the MRP of the Moto G7 Power at Rs 15,999. However, the initial cost of the device is pegged at Rs 14,500. The Moto G7 Power, like the name denotes, comes with a massive battery and lands in the mid-range price segment thus making it an apt choice for a lot of Indian buyers. Let us quickly take a review of the features and specifications which the Moto G7 Power offers. Motorola is yet to announce the price of the smartphone officially which could happen in the next couple of days as the devices already reached offline retailers. There is no doubt that the Moto G7 Power is on the lower rungs of the G7 series. While the other G7 devices pack more performance, this one only boasts of having a high battery life. The Moto G7 Power features a 6.2-inch HD+ display, i.e. it comes with 1520 x 720 pixels resolution which might not be that impressive considering what the other competitors are offering in the same price range. Under the hood, the Moto G7 Power packs the Qualcomm Snapdragon 632 SoC and pairs it with 3GB of RAM and 32GB of storage, which is again a let-down considering the 2019 standards and what the other phones pack in the Rs 15,000 range. On the camera and imaging front, the device features a 12MP single rear shooter with f/2.0 aperture and an 8MP front snapper with an f/2.2 aperture. 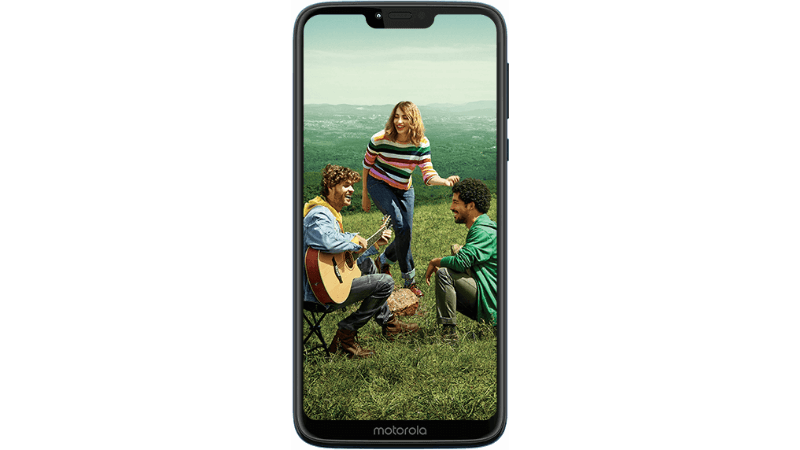 Now coming to the strong points of the Moto G7 Power, the phone packs a 5000 mAh battery and features connectivity options like 4G LTE, Wi-Fi 802.11ac dual-band (2.4 and 5 GHz), USB Type-C, NFC and a 3.5mm headphone jack.